Three song videos and complete credits at the end of the review. You can buy the album on iTunes. Dil Hai Namazi features on vocals the most high profile name in all of Shankar Tucker’s debut album credits – Vijay Prakash. That the song turns out to be one of the best tracks in the album owes a lot to the man living up to his repute with a spectacular rendition of Manoj Yadav’s lines. Of course, that is in no way understating Shankar’s work in the backdrop – the slow, serene build-up, the interesting use of percussion (Gaurang Desai’s drums and Jomy George’s tabla which sounds very much like a mridangam at times), and of course Shankar himself with some clarinet solos. Shankar gets Job Kurian for the Malayalam folk song Aadiyillallo Anthamillallo that gets a swanky, mod treatment. Job’s rendition stays true to the folk base, while the composer attempts to recreate the folksy grooviness using a largely non-Malayali ensemble (the only Kerala-related instrument I saw in credits was the edaykka) and this contrast makes for a mighty engaging combo (not sure about this being a boat song though, as suggested in the full title). Nikhita Gandhi handles her end well behind the mic in Kashti while Tucker’s clarinet is engaged in an intriguing bout with the percussion (Jomy George’s tabla and Masala Coffee percussionist/vocalist Varun Sunil’s cajon mainly). Yaad is probably the only track from the album that was not composed for the album per se; the song appeared in the opening episode of Dewarists Season 4 that had Shankar Tucker collaborate with Maatibaani lady Nirali Kartik in Sikkim. A simple tune woven around Faiz Ahmed Faiz’s poetry (something of a highland touch in that guitar) that takes a dark turn every so often. The singing is spot-on, and the arrangement nicely builds up towards a crescendo led by clarinet and tabla. Chal Chal Sakhi’s frenetic pace and complicated time signatures are handled wonderfully by all musicians involved, particularly by Ankita Joshi who pulls off an effortlessly nuanced singing. Shankar too is in brilliant form throughout the song, the best bit of the song happens between 2:19 – 4:44 where Ankita and Shankar present their respective improvisation bits in succession. The complex structure of the song makes it a not so comfortable listen overall, but the individual show of skills makes it more than worth your while. The only problem with Ae Re Chanda is its four part division which gives the individual pieces an abrupt ending/beginning. But when you line them up to play consecutively the track makes for a wonderful listen over its nine minutes. Devendra Pal Singh (whom you might remember from this beautiful song from Coke Studio @ MTV Season 2, which incidentally also had Shankar) leads the proceedings with a pitch perfect rendition that traverses ragas (shades of abheri/bhimplas in part 3 and miyan ki malhar in part 4, I think) after Sandeep Mishra starts off things in style in the alaap that constitutes part 1. While Sandeep makes his presence felt in part 2 as well, Shankar takes over the support role from part 3, joined by Santosh Ghante’s harmonium in part 4. Also mention-worthy is the strings section (credits at the end) and the Carnatic percussion from Varun Sunil (mridangam & kanjira that I could discern). Dhuan Dhuan is another song that gets divided, this time into two parts. First part has carnatic violin exponent H N Bhaskar’s (whom you might also have heard in Raghu Dixit’s albums – Kodagana and Amma from Jag Changa for instance) masterful alaap that represents the rare occurrence of South Indian classical elements in the album, leading into a breezy vocal section handled by Shankar himself (man’s got a good voice), while HNB continues his excellent solos in the background. Amaidhi Thaedi too comes in two parts, though in this case the instrumental solo follows the vocal segment. Vocal segment which has Shaktisree Gopalan nailing the lovely tune that Madhan Karky’s Tamil lines are set, with an ambient arrangement supplied primarily by Rashee Kulkarni’s piano. The instrumental part (aptly titled Meditation) too has a similar ambient setting but with Shankar’s clarinet being the only instrument here, the effect is even more stunning! The final track is Udaan, a pensive tune that is given a simple guitar-led (Daniel Kenneth Rego, Puneet Gabriel) arrangement. On vocals is one of Shankar’s earliest collaborators, Vidya Iyer. Vidya’s singing here isn’t without flaws, but works for the kind of song it is. 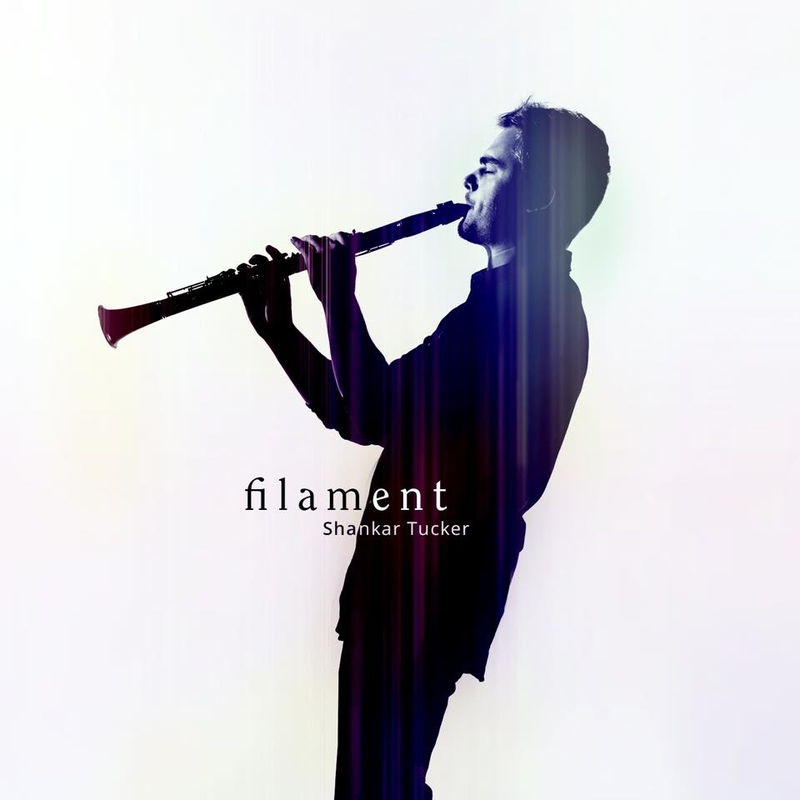 Over four years since his first video came out, and two years in the making, Filament is an outstandingly diverse debut album from Shankar Tucker, aptly representative of his body of work thus far. Chal Chal Sakhi | Come, My Beloved! Recorded at Cotten Press studios and Sound Forest Studios, Mumbai, Maharashtra. Recorded at Sound Forest Studios, Mumbai, Maharashtra & Michiko Rehearsal Studios, New York City. All Songs composed and produced by Shankar Tucker, except for “Aadiyillallo Anthamillalo”, a traditional Malayalam folk song. All tracks mixed and mastered by Shankar Tucker except for “Aadiyillallo Anthamillalo”, mixed by Devang Raach. « Win VIP tickets to A R Rahman Concert at The O2 London!